I am writing this article with an assumption of basic music knowledge. Polyrhythms are often misunderstood. This is an attempt to clarify what polyrhythms are and how they have influenced African Jazz. 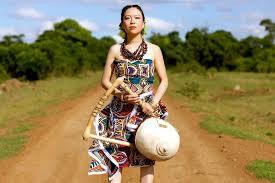 African Music has had great influence around the world. 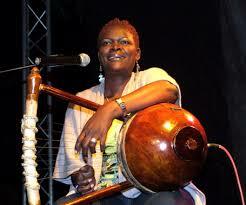 Genres such as jazz, blues and various sub-genres of jazz came into play due to Africans drawn into the diaspora. The westerners combined our music with their folk music. 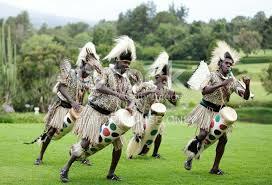 The roles of music and dance are tightly woven into the lifestyles of the African people. It helps mark important moments in our life. It is an integral part of African life – in events such as childbirth, marriage, hunting, and even political activities. Every musical element – melody, rhythm, timbre, harmony, and the basic forms of jazz – is African in background and derivation. African phrases “are engineered and built up of the numbers 2 and 3 or a combination of 2 and 3”. 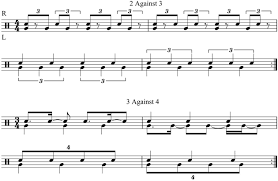 This ragtime rhythm yet again demonstrates the African American’s urge to combine two rhythms simultaneously within the European (i.e., white man’s) musical framework. The African approach to rhythm is seen and heard in African percussion when drummers play lengthy and extended cross rhythms whose downbeats seldom coincide. Apart from the use of accents, syncopation was an effective way for early jazz musicians of African heritage to emphasize the weak beats within the European musical notational system. Improvisation is a vital element of jazz. There are precedents for solo improvisation in much of folk and popular music, as well as the European classical tradition of Baroque figured bass (basso continuo) and in concerto cadenzas. Songs include accompanied and unaccompanied solos, duets, and choruses. Unaccompanied choruses are an example of acapella singing. Songs are usually either strophic (split up into verses) or are in call-and-response form. African music is antiphonal – that is, responsorial – as in call and response. In call-and-response form the leader sings a line (the call) and is answered by a chorus (the response). The chorus usually stays the same while the soloist improvises. There is often overlapping between the leader and the chorus. The chorus part is usually homophonic (in block chords). Performers often improvise new melodies while others continue the original melody creating a polyphonic texture. African singing often includes glissandos (slides which are sometimes known as portamento) and slurs, whistles, yodels and swoops as well as types of sound with a raspy or buzzy quality. Melodies are usually short and simple and repeated over and over. This is known as an ostinato. Melodies can be changed at will by other singers so that we end up with a theme and then variations on that theme. By contrast, the African approach to rhythm may be seen and heard in African drumming, where drummers play lengthy and extended cross rhythms whose downbeats seldom coincide. Apart from the use of accents, syncopation was an effective way for early-jazz musicians to emphasize weak beats within the European musical notational system.